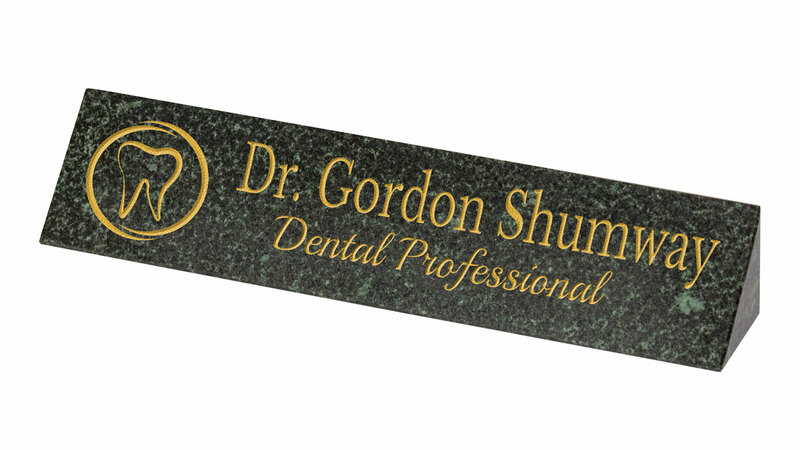 Beautiful solid granite desk plaques will look great on your desk. Customize with your name, title, logo or text. Size 11-3/4"W x 2-7/8"H x 2" x 2"